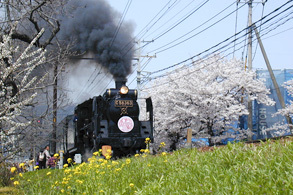 Nagatoro is a tourist spot surrounded by the beauty of nature, located about two hours from the heart of Tokyo. It has flourished as a tourist area since the end of the 19th century, and currently receives 2 million visitors a year. 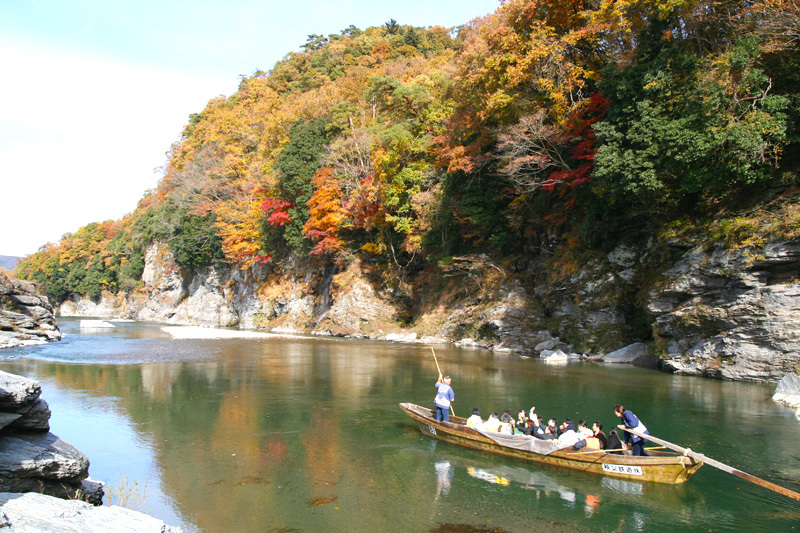 The entirety of Nagatoro Town is designated as the Prefectural Nagatoro Tamayodo Natural Park, and both banks of the Arakawa river that flows through its center are designated as places of scenic beauty and natural monuments. 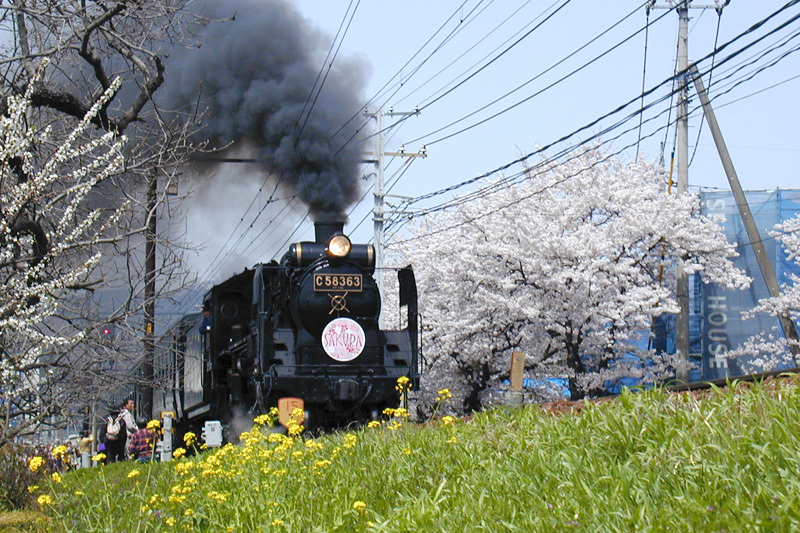 Nagatoro can be enjoyed all year round, with plum blossoms, cherry blossoms, and many other flowers, hiking trails, water sports, and numerous interactive activities. 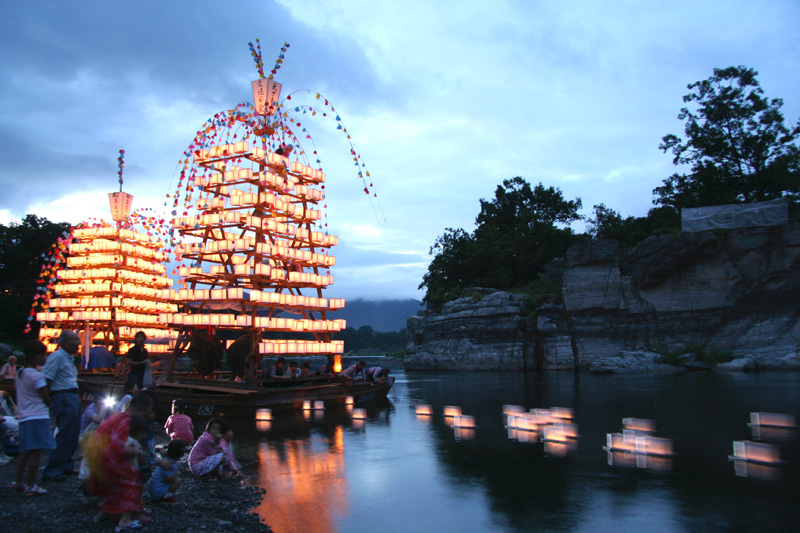 It is said that the Funadama festival started as a festival dedicated to the God of Water as a prayer for the safety of boatmen on water going downstream the Arakawa river. 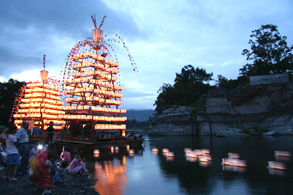 Lanterns are floated down the river and boats with paper lanterns attached are sailed up and down the river. At night, fireworks are set off from the far bank to the applause of spectators moved by their beauty and impact. It is held every year on August 15. 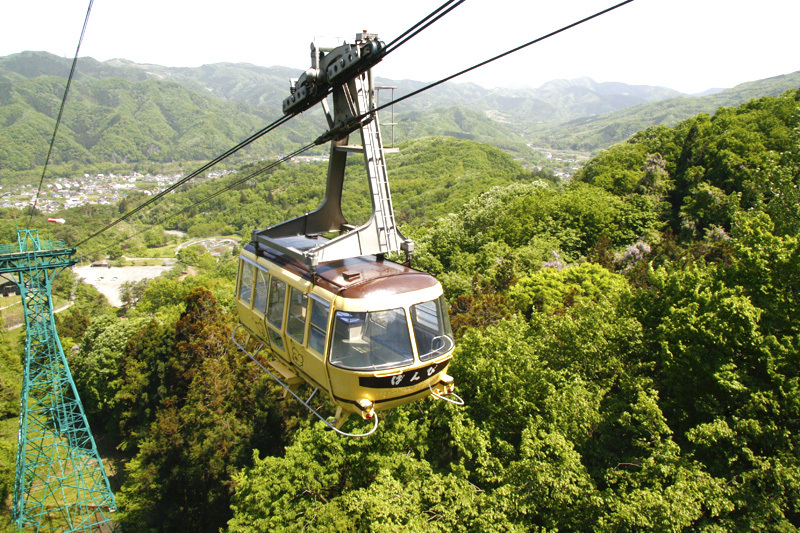 Nagatoro Valley is 6 km long in total and is designated a place of scenic beauty and natural monument. 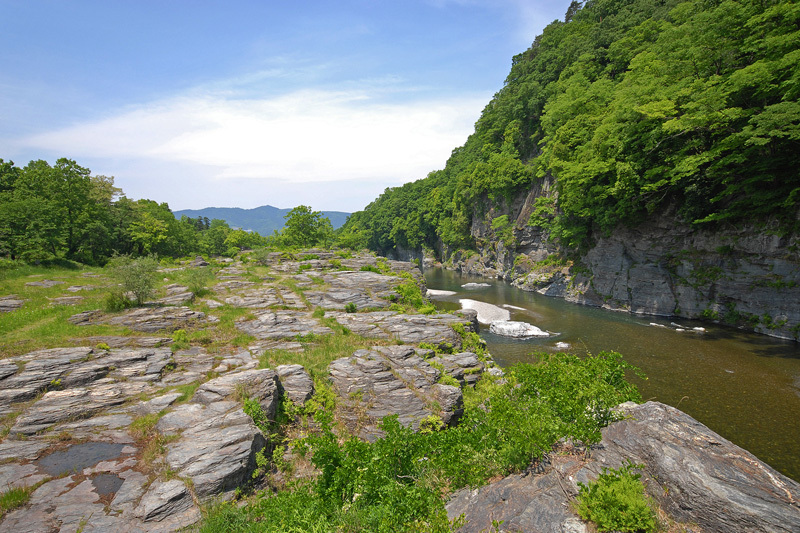 The valley contains Iwadatami that is a rock formation exposed over a width of 80 m and a length of 500 m along the Arakawa river. 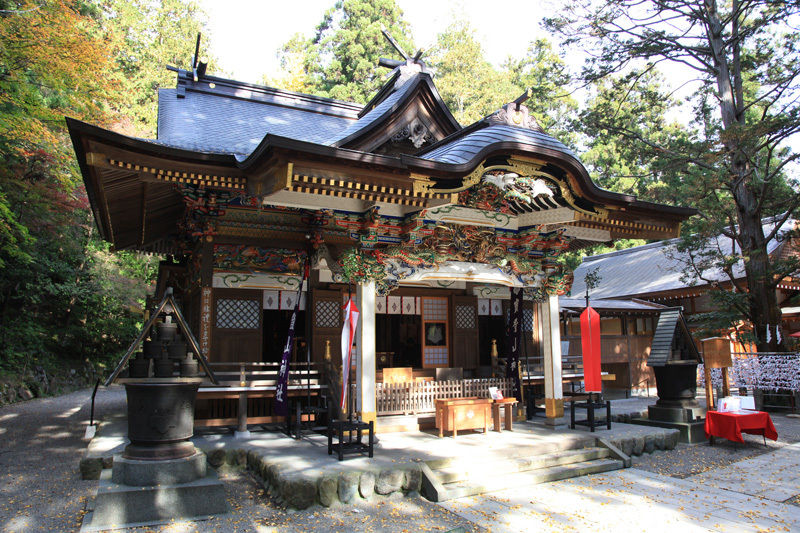 It was named Iwadatami because the rocks look like successive layers of tatami overlapping each other. 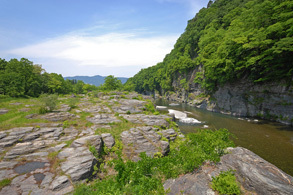 Throughout the Nagatoro Valley, you can enjoy looking at the formative beauty of nature that was created by changes in the earth's crust and erosion by the river. 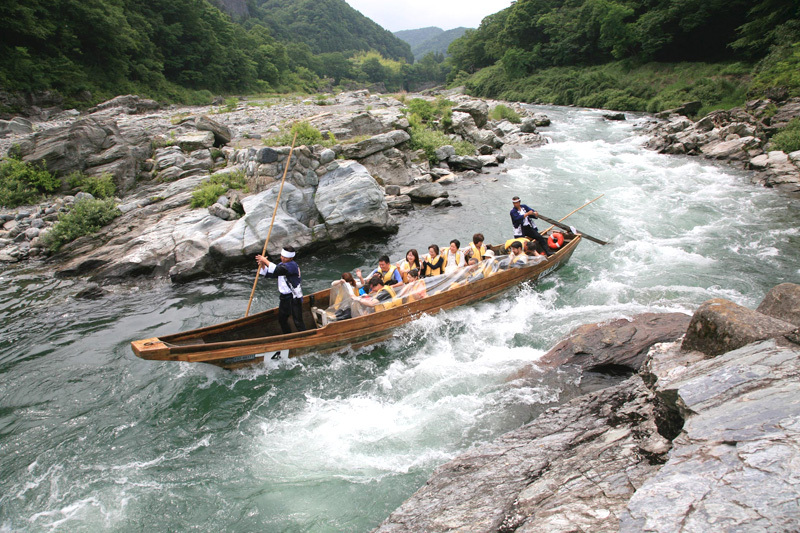 River boating has been enjoyed in Nagatoro since the beginning of the 20th century, and is one of the town's major attractions, bringing in 200,000 visitors a year. Ride a boat handled by a skilled boatman and view the gorgeous valley that is a natural monument while cruising down powerful rapids and gentle currents. 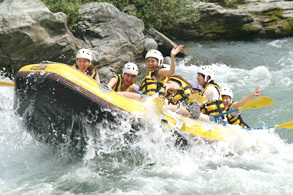 Whitewater rafting is a popular outdoor sport with the younger generation. Take on the Nagatoro rapids in an inflatable raft. With an experienced guide at your side, it is safe even for beginners. 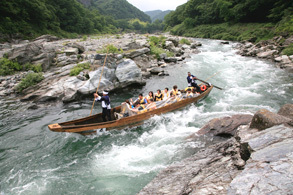 In addition to whitewater rafting, visitors to Nagatoro can also enjoy canoeing and kayaking. 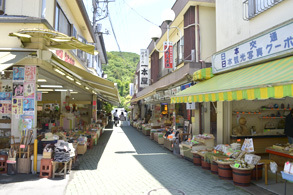 The shopping district that runs 800 m across Nagatoro from East to West has rows of various shops. 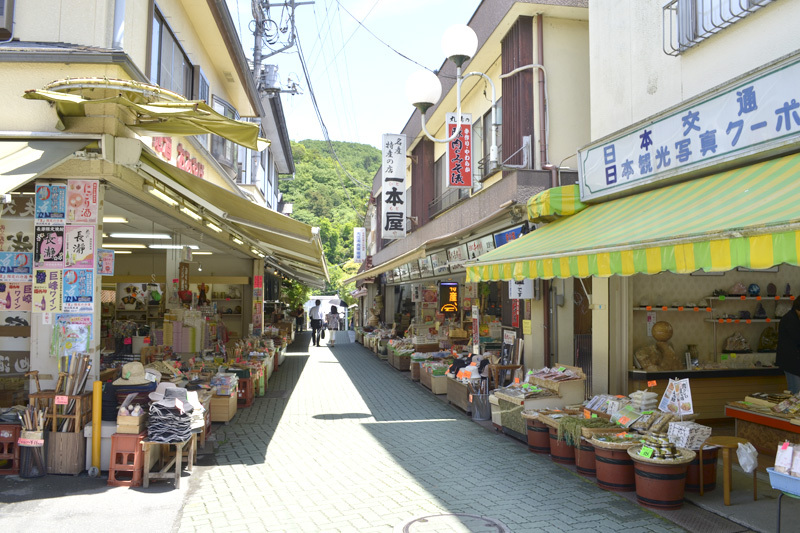 The shops sell Nagatoro's unique foods and souvenirs, traditional toys, and much more. The district is often shown on TV or in the newspaper, bringing in many visitors.